Dimensions 0.25 by 5.12 by 7.62 in. 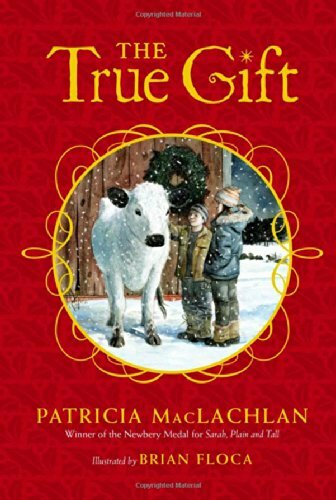 Amazon.com description: Product Description: Experience the magic of authentic giving in this holiday classic from the Newbery Awardâwinning author of Sarah, Plain and Tall. All year long Lily and Liam look forward to the holidays at their grandparentsâ farm. Itâs always the perfect trip: walking to the lilac library, trimming the tree, giving gifts. But this year, thanks to a white cow alone in the meadow, things will be different. This holiday, Lily and Liam will find out the meaning of a special gift. This holiday classic from a beloved author rings in the season by celebrating the joys of family, community, and true giving. About: Experience the magic of authentic giving in this holiday classic from the Newbery Award–winning author of Sarah, Plain and Tall.